Serena Williams lost to Naomi Osaka in the US Open final. 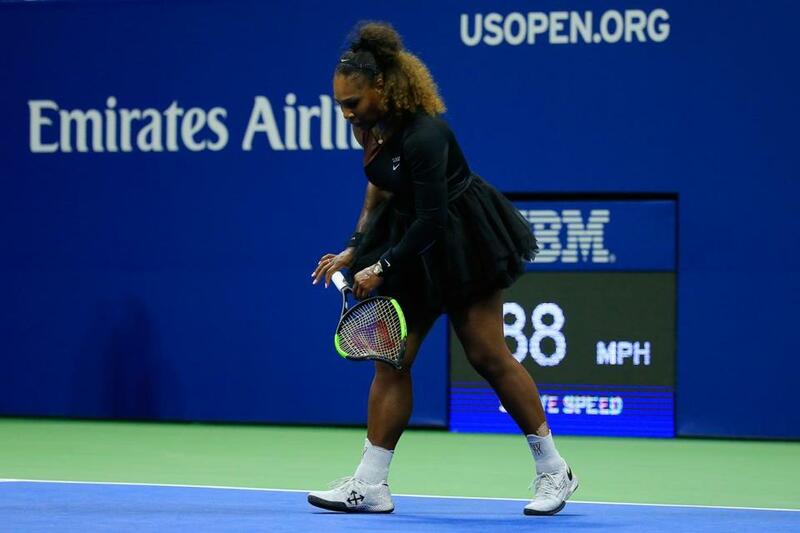 NEW YORK — Serena Williams has been fined $17,000 for three code violations during the US Open final. The tournament referee’s office Sunday docked Williams $10,000 for ‘‘verbal abuse’’ of chair umpire Carlos Ramos, $4,000 for being warned for coaching, and $3,000 for breaking her racket. Under Article III, Section P, ‘‘verbal abuse’’ is defined as ‘‘a statement about an official, opponent, sponsor, spectator or other person that implies dishonesty or is derogatory, insulting or otherwise abusive.’’ The section says a player is subject to a fine up to $20,000 for each violation. There are separate categories for coaching (”Communications of any kind, audible or visible, between a player and a coach may be construed as coaching”) and for abuse of rackets or equipment. Williams was penalized a point and then a game by Ramos in the final.